For years, we’ve been telling you about the power of social media for marketing senior care businesses — whether through consumer reviews or social networking. Among the savvy senior living organizations that recognized and successfully harnessed this opportunity is The Northbridge Companies. 70% of their new leads are now coming from Facebook, Twitter, and referral companies (including Caring.com). One campaign in Maine — a video that cost $1000 to produce — has gone relatively viral, with 40,000 views since April 21st, more than 1650 shares on Facebook (The Northbridge Companies will donate $1 per share to the Cure Alzheimer’s Fund), and memory care leads being directly attributed to it. 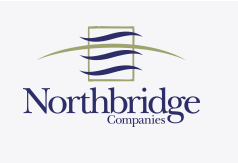 The Northbridge Companies is also wisely incorporating social media into their traditional campaigns, such as direct mail and print media advertisements. “We do traditional types of marketing, but everything drives to the social media,” Wendy Nowokunski (co-founder and president) told SHN. Visit their website, and you’ll easily find links to their social media profiles on Facebook, Twitter and YouTube — as well as to their blog. Visit those social profiles and you’ll see plenty of positive activity, including lots of followers, likes, retweets, and video views. They have a dedicated team for their social marketing, and have made the necessary investment in using social strategically for business results. Well done, Northbridge Companies! You’re proving that social media can be an effective source of consumer engagement — whether to attract prospects, build relationships with residents and residents’ family members, and/or to support your staff recruiting and retention goals. Your social media investment is paying off as it should, and you’ve set an excellent example for others. Kudos!